The new-generation Volvo S60 is a handsome looking car and it will be coming to India next year as well. Volvo cars have been getting stylish and attractive off late. And after the stunning S90, the new S60 sedan is no different... It is a brand-new car from the ground up and completes Volvo's 60-series family consisting of the new-gen XC60, V60 and now the S60. Also, this will be the first ever Volvo model to not have a diesel engine option. The Black S60 is the top-spec 'Polestar Engineered' variant which looks even racier, with the blacked out grille, gold brake callipers, lightweight 20-inch wheels and the Polestar badges all around. It also gets sporty yellow seat-belts and Volvo's patented crystal gear lever. The dashboard on the new-gen S60 has an elegant, minimalist design. Volvo will also introduce the T6 and T8 "Polestar Engineered" petrol engines at launch. The T6 all-wheel drive gets a 2-litre in-line 4 motor which is turbo-charged and pumps out 310 brake horsepower at 5,700 rpm and 400 newton metres of peak torque between 2,200 to 5,100 rpm. The power is distributed to all 4-wheels via an 8-speed automatic. The other model that we drove was the top-of-the-line T8 trim which gets a 2-litre petrol engine up front and an electric motor at the rear, making the car a plug-in hybrid model. On sheer electric power, the S60 T8 can go up to 45 kilometres. It is expected to come to India in the second half of 2019. Volvo made the S60 Polestar Engineered available on the Care by Volvo app. Volvo announced that the S60 T8 Polestar Engineered version will be limited to only 20 units for the US market with price ranging from $54,400 (Rs. 37.50 lakh)- $55,400 (38.18 lakh) for the R-Design and Inscription trims respectively. The new Volvo S60 sedan is the first Volvo Car to be built at the company's first US manufacturing plant in Charleston, South Carolina, USA. The new 2019 Volvo S60 sedan is all set to make its world premiere tomorrow and ahead of the big unveil, the Swedish carmaker has dropped yet another teaser for the car. 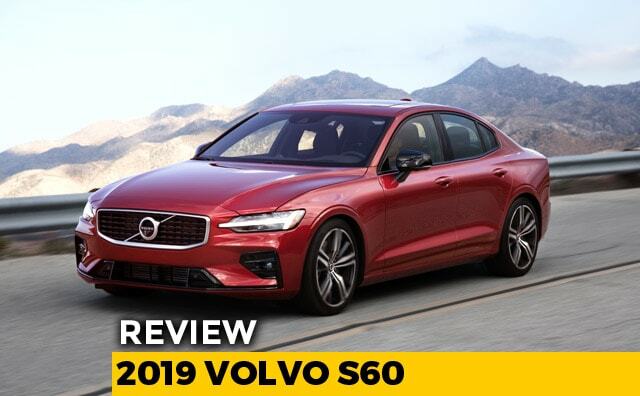 The new S60 will be assembled at the company's brand new factory in Ridgeville, South Carolina and exported to other markets. The 2019 Volvo S60 sedan will be the first product to receive the "Polestar Engineered" performance package.